For more than two decades, Alan Klein has been spinning news, galvanizing public opinion and landing cutting-edge issues on front pages and in primetime. One of the nation’s first public relations professionals to cater to LGBT clients, Alan provided strategic communications services to some of the nation’s most high-profile nonprofit organizations and to corporate clients. His work with God’s Love We Deliver, an organization that delivers meals to people with life-threatening illnesses, generated consistent front-page attention. His historic media campaign for Comedy Central helped make Out There — the first all-gay television comedy series — a top ratings winner. During Stonewall 25, he made Stadtlanders’ mile-long Rainbow Flag the predominant image for the historic 25th anniversary of the gay rights movement. 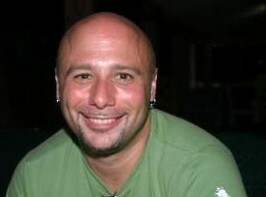 He later served as the communications director for Rainbow 25. Alan Klein’s involvement in social issues and civil rights has been extensive. He was a founding member of the AIDS activist group ACT UP (AIDS Coalition to Unleash Power) and co-founded the LGBT direct-action group Queer Nation. He went on to create and produce “The Anti-Violence Campaign,” the first-ever anti-gay violence PSA campaign, chaired by actress Susan Sarandon, that aired in local markets throughout the U.S. and nationally on MTV. As national communications director and spokesperson for the Gay & Lesbian Alliance Against Defamation (GLAAD), Alan played a pivotal role in the Ellen Degeneres coming out and subsequent media frenzy by orchestrating much of the international coverage. He also co-founded the online campaign StopDrLaura.com, which kept controversial anti-gay radio personality Laura Schlessigner off the television airwaves. Alan lives in New York, NY.